Just for understanding – according with TomatoAnon (who covers only a tiny part of the available Tomato based routers) there are +35.000 such devices in use. Most likely combined with all the other DD-WRT, OpenWrt routers we probably get to couple of millions devices who with a bit of adjustments are capable to establish site 2 site VPN with Azure. Microsoft doesn’t has strongSwan on its list of validated VPN devices. Openswan and strongSwan are FreeS/WAN forks. At the moment of writing this article, Openswan is marked on the Microsoft validated VPN device list as “coming soon”. Even if stongSwan is not yet on the official list of validated VPN devices, the fact Microsoft is taking in consideration Openswan is an indication the strongSwan will also be there at some point. More than that Microsoft is providing the VPN specifications for the VPN site 2 site tunnel to work also with “not yet validated VPN devices” (the discontinued Microsoft Thread Management Gateway is also in this category). Your connection will be OK as long as those specifications are meet, but you will not be able to benefit from the Microsoft support in such setup. The good thing for the IT PROs who want to configure a site 2 site VPN between on-premises and Microsoft Azure is such setup is possible using the consumer based wireless routers. 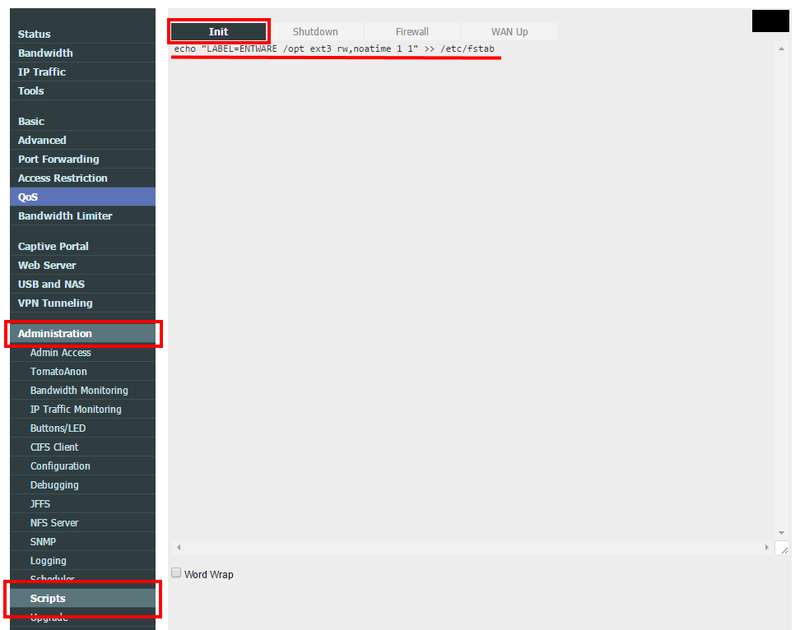 In fact this type of setup (Tomato Shibby Mod + Entware-ng + strongSwan) is supporting both types of VPN Azure Gateways (static and dynamic) – which is really appreciable taking in consideration some top end devices like Cisco ASA, Palo Altos, Watchguard, F5 are not capable to handle the Azure dynamic gateway. This article will not mention the differences between the Azure static and dynamic gateways, but always try to use a dynamic gateway because it gives you extra functionality and flexibility (read more about Azure static vs dynamic gateways here and here). The main target is to install strongSwan on the router, but in order to install strongSwan we need first to install Entware-ng. Entware-ng is a package manager and software repository for embedded systems who allows you to easily extend your router capabilities (there are about 1800 additional packages available). This is the USB flash drive who will be used to host the Entware-ng and strongSwan. It is not really necessary to use a USB flash drive. 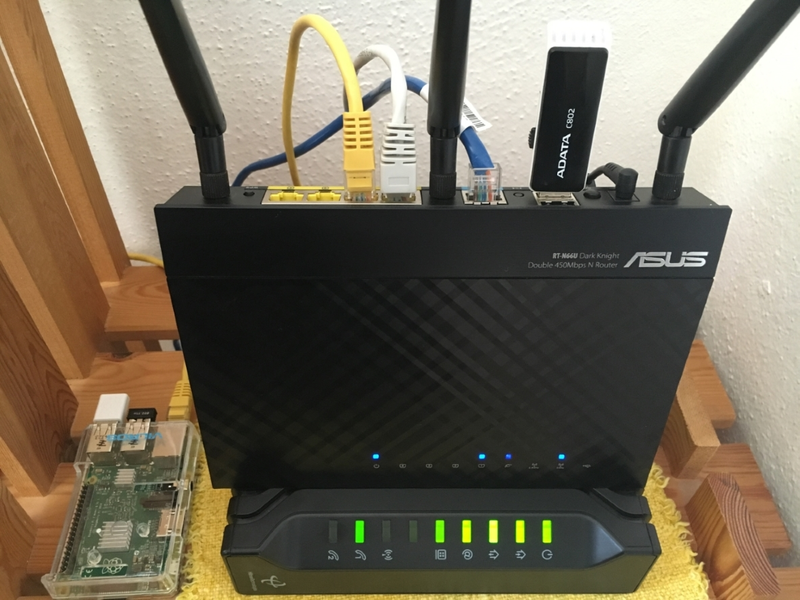 The Entware-ng and strongSwan installation can be performed also on Micro-SD cards – as long as your router has such interface available (my router does, but for the purpose of this step-by-step article I will use an USB flash drive). This is the USB flash drive initial status. Please make sure to not keep any files on the flash drive because as part of the Entware-ng installation is necessary to format it. Plug the USB flash drive into your router. 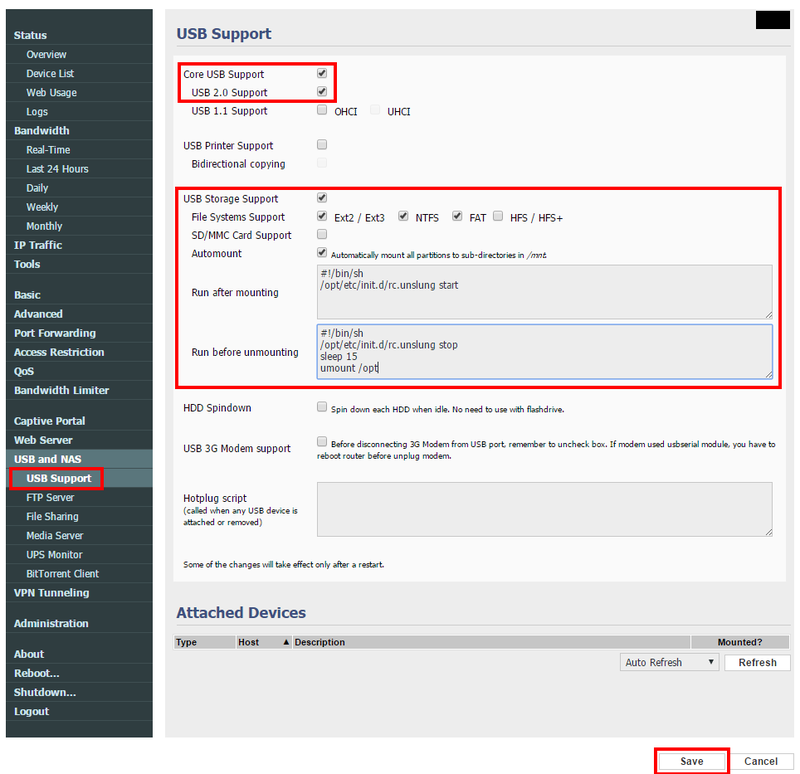 Connect to your router management interface and make sure you enable the USB support. 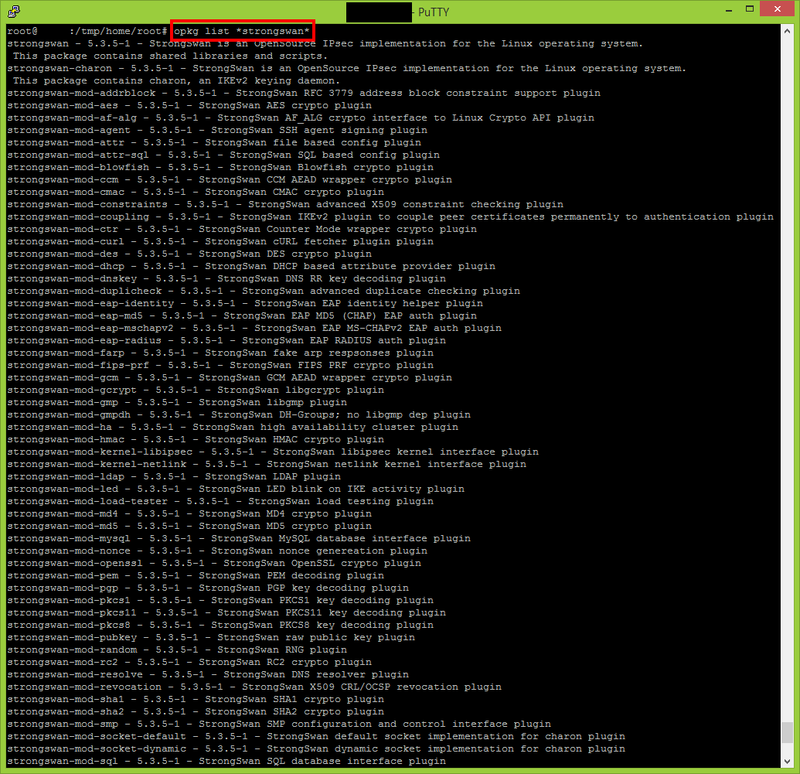 Make sure the “Run after mounting” and “Run before unmounting” sections contains the following command lines. After pressing the Save button, the new settings will be applied and the USB device will be recognized. Make sure you unmount the USB device before proceeding to the next step. In the Administration -> Scripts -> Init section will be necessary to add the following command line to be executed when the router starts. It is time to format the USB flash drive and make it ext3. Mount the newly created partition. 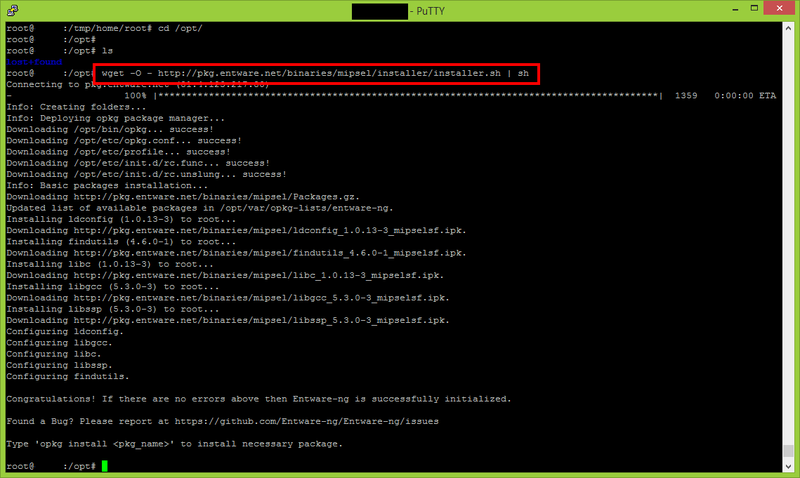 The Entware-ng installer will require the /opt to be mounted. After the /opt is mounted, the Entware-ng installation will be triggered using the following command. Please note my router is a MIPS CPU based router. In case yours is ARM you will need to use another command. This is a very good moment to restart your router because it will validate if the init & automount scripts are running correctly and Entware-ng installation completed successfully. After the reboot verify if the following command is returning a valid response. Execute the following commands to perform a full installation of strongSwan. The following configuration is despite whatever type of Azure gateway we will use (static / dynamic). This configuration will allow you troubleshoot and open the necessary ports required for the VPN tunnel. Make sure you open the required VPN communication with your router. Reboot is required in order the firewall rules to apply. 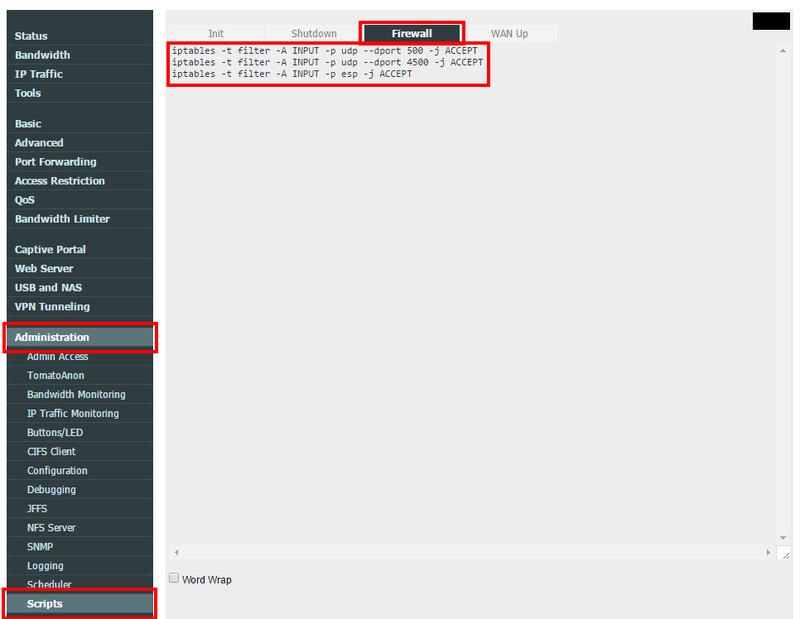 Continue with On-Premises Site 2 Site VPN with Azure using Tomato Shibby Mod (Entware-ng and Strongswan setup) – part 2. Just wanting to make it really clear to others that you need to format the usb stick utilizing fdisk. It’s stated above but the instructions aren’t really there. 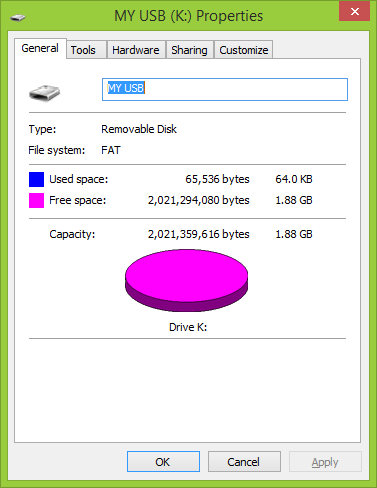 You need to create one large partition on the disk of the linux file type, google for instructions; it’s fairly easy. I have followed your guide to the letter, but cannot seem to get Strongswan working. Note to all readers: I am not daily installing and setting up routers with entware-ng and strongswan. Please signal me (write a reply) if the installation is not matching anymore with the article. I will then flash again my router, figure out the changes and update this article. Just a heads up, following your how-to the StrongSwan libipsec module (opkg install strongswan-mod-kernel-libipsec) is used to encrypt the traffic (even if not explicitly stated). According to StrongSwans documentation, this is a work-around and not recommended (https://wiki.strongswan.org/projects/strongswan/wiki/Kernel-libipsec), instead the proper way is to be using Linux builtin IPsec kernel modules. 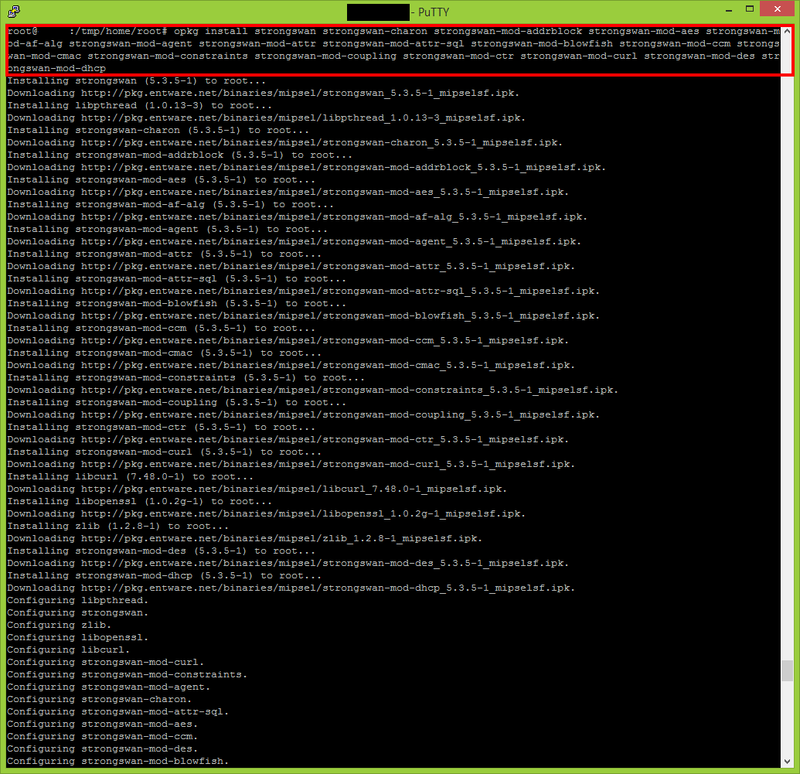 In Tomato they´re not precompiled, but have to be downloaded from Shibby (extras-archive) and loaded on boot. Maybe you should complete your howto with this recommended, however optional step? 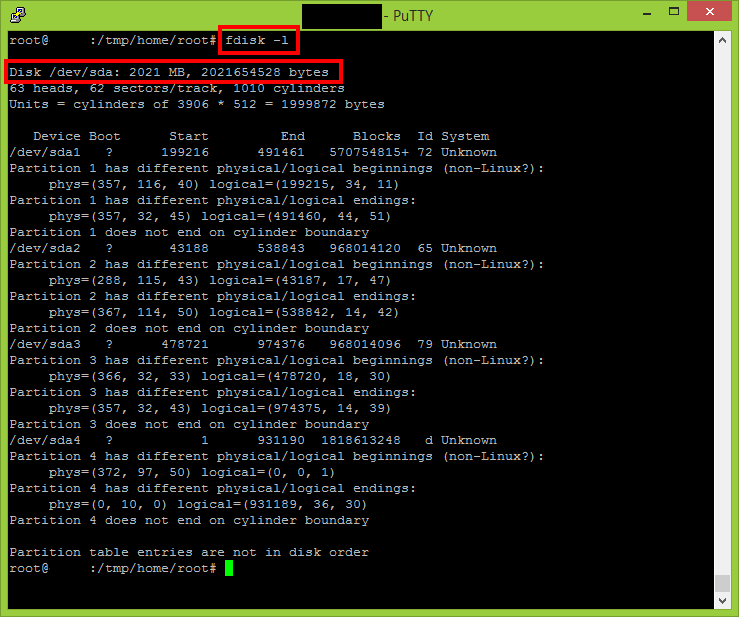 I have compared the performance with libipsec and Linux kernel, and IP-sec encryption is a bit faster with the latter. Other differences is that libipsec (your howto) creates a TUN.-device called ipsec0, while the Shibby modules integrates IP-sec SA’s in XFRM. 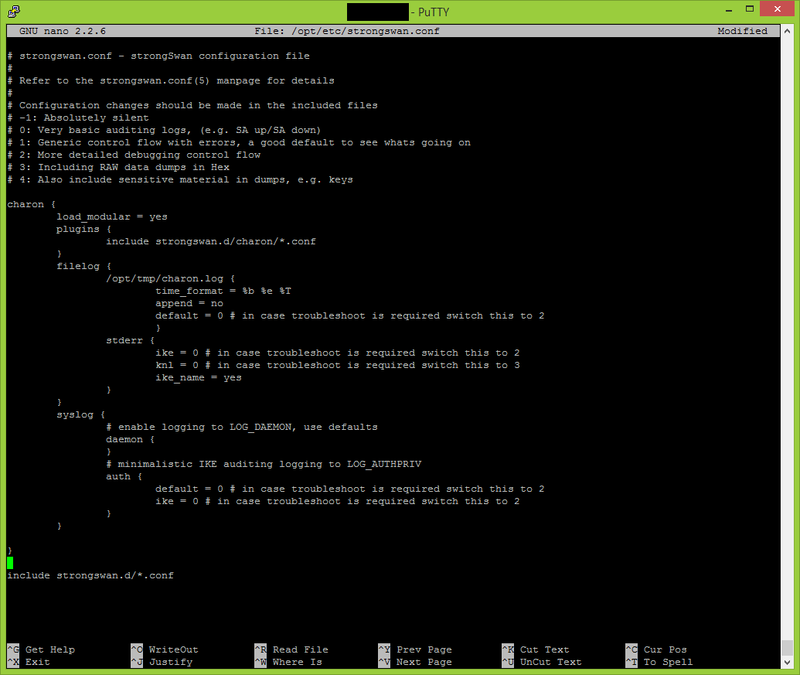 Also libipsec forces the use of NAT-T (udp 4500) even if there is no actual NAT-situation occuring.